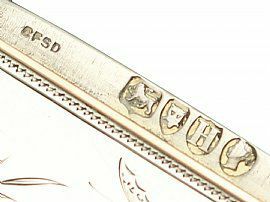 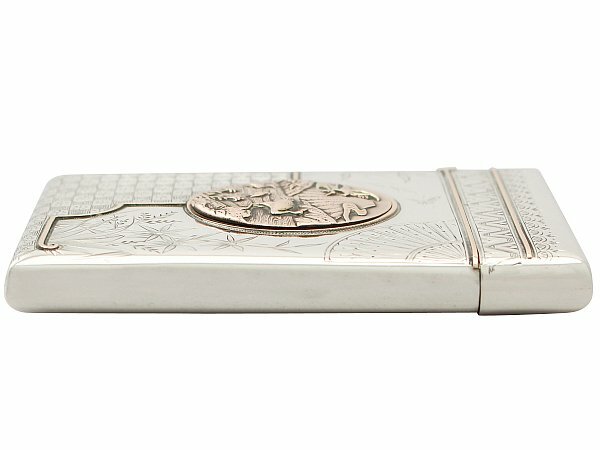 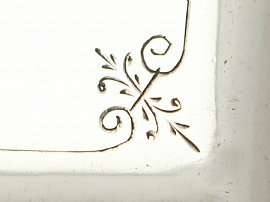 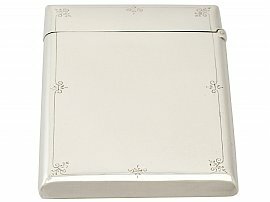 This exceptional Victorian card case, in sterling silver, has a rectangular form with rounded corners. 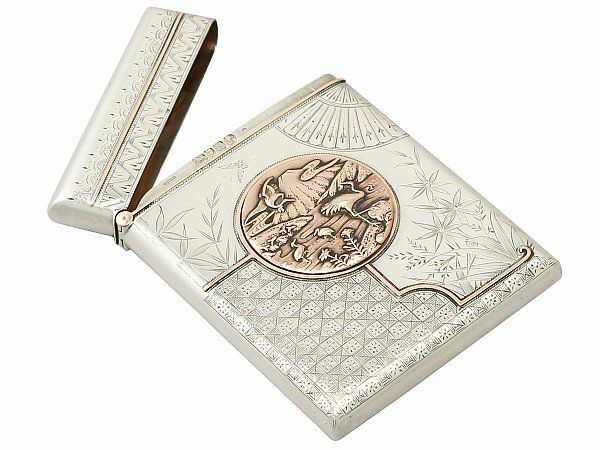 The anterior surface of this antique card case is embellished with a fine and impressive bright cut engraved stemmed floral and foliate designs to the right hand portion accented with an fan design to the upper corner, all in the iconic Aesthetic style. The lower left portion of the body is embellished with a geometric grid design in addition to simplified octofoil motifs. 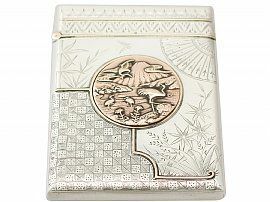 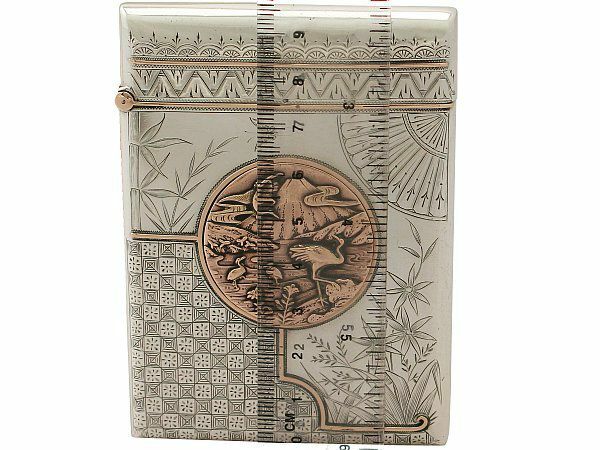 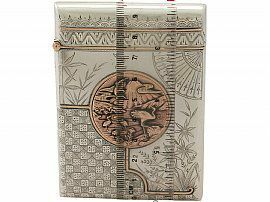 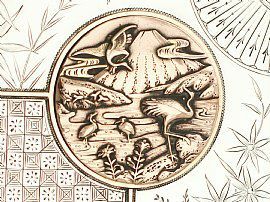 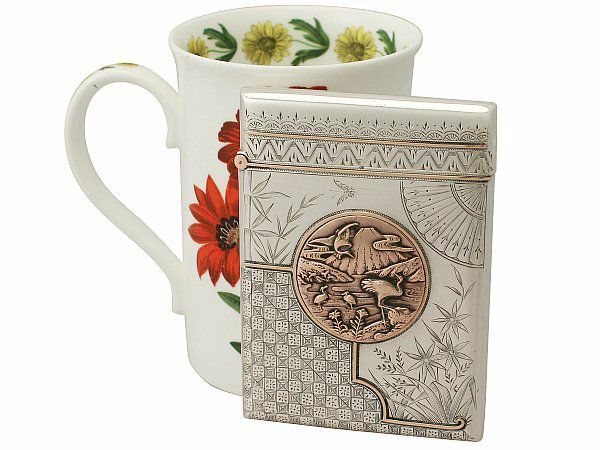 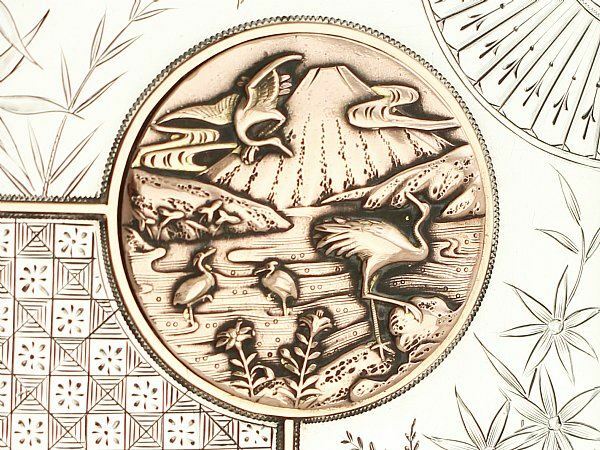 The case features impressive inlay copper bands paralleling the subdivision of grid pattern and incorporates an impressive, applied central copper medallion depicting birds wading in the water to the base of a cloud encompassed volcano. 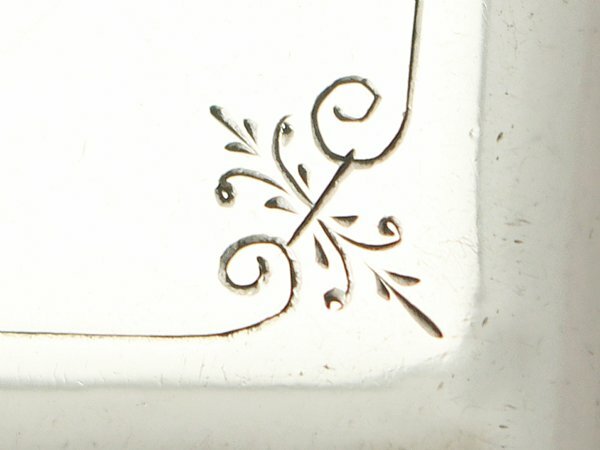 The posterior surface of this antique Victorian case is embellished with a simple paralleling border accented with eight fleur-de-lis style foliate motifs; this ornamentation continues across to the plain cover. 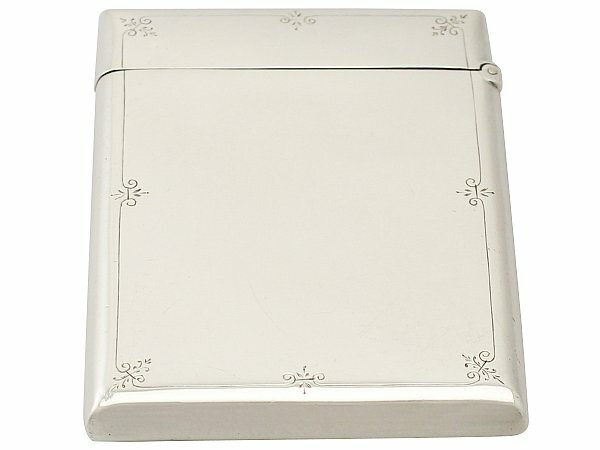 The rounded sides of this silver case are plain and unembellished. This antique card case is fitted with a hinged hallmarked cover embellished with a horizontal inlaid copper band flanked with bright cut engraved geometric interlocking decoration and scalloped floral motifs. 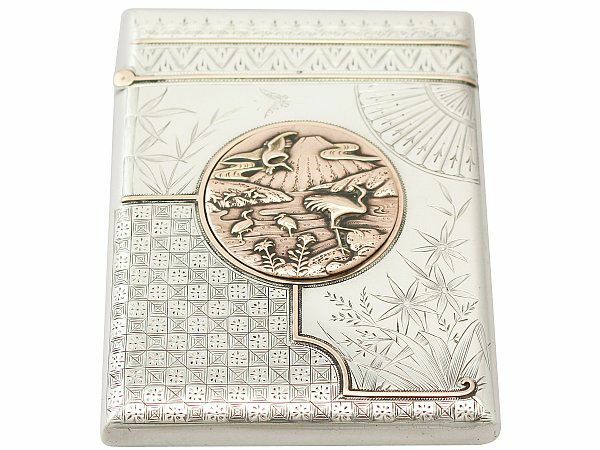 This exceptional Aesthetic style card case is the finest of its type you could hope to acquire. 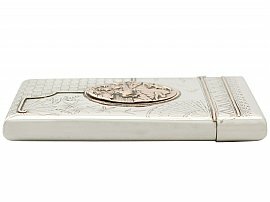 This antique Victorian card case is an exceptional gauge of silver, exceptional quality and in exceptional condition.